Last year, our family went through the despair and sadness that accompanies childhood cancer. We are blessed that our son is currently in remission with check ups every three months. 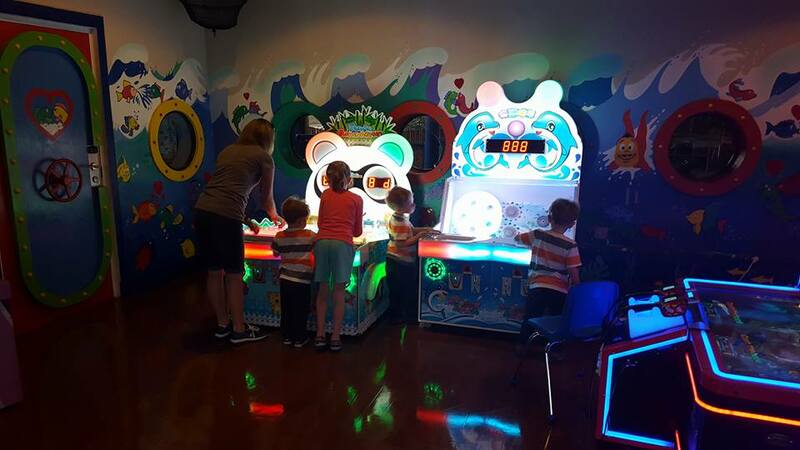 I shared last week how we were gifted a wonderful opportunity through the Make a Wish foundation- the trip of a lifetime to Florida for Disney World, Universal Studios, and Sea World! Our trip was marvelous, and I’m excited to share details with you all. But I decided that I first would begin with our accommodations. Our accommodations were more than just a place to sleep. 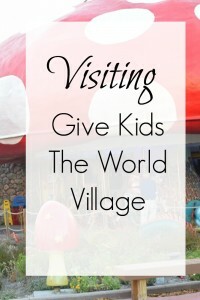 We found the Give Kids the World Village to be a vacation destination in itself! 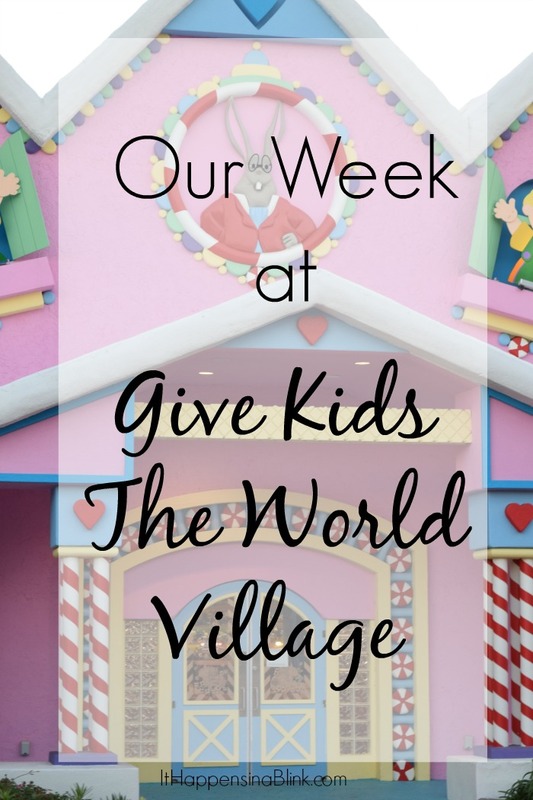 What is Give Kids the World Village? 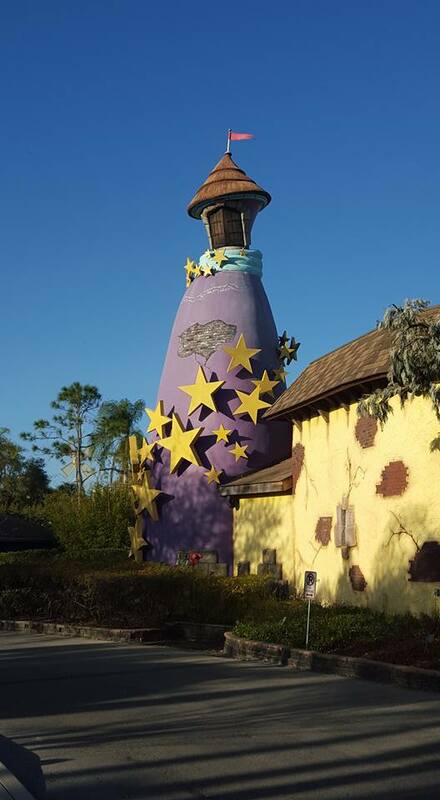 The description that says it best is on their About Us webpage: “Give Kids the World Village is a 70 acre, non-profit resort in Central Florida that provides weeklong, cost-free vacations to children with life-threatening illnesses and their families.” Visit their website to read more about the history behind the village. For us, when some family and friends found out about our trip, they simply didn’t understand. I think there is a misconception with some people who may not have a sick child that Make a Wish and Give Kids the World are only for children who do will not make it to adulthood. In our case, our son is out of active treatment and in follow-up care. There are still many things that I have to be vigilant of every day (did he drink enough water? Did he have a bowel movement? Does his tummy hurt? ), and he may not look sick to outsiders, but he definitely falls under the category of having a life threatening illness. After a long and stressful year, this vacation was a celebration for our family. 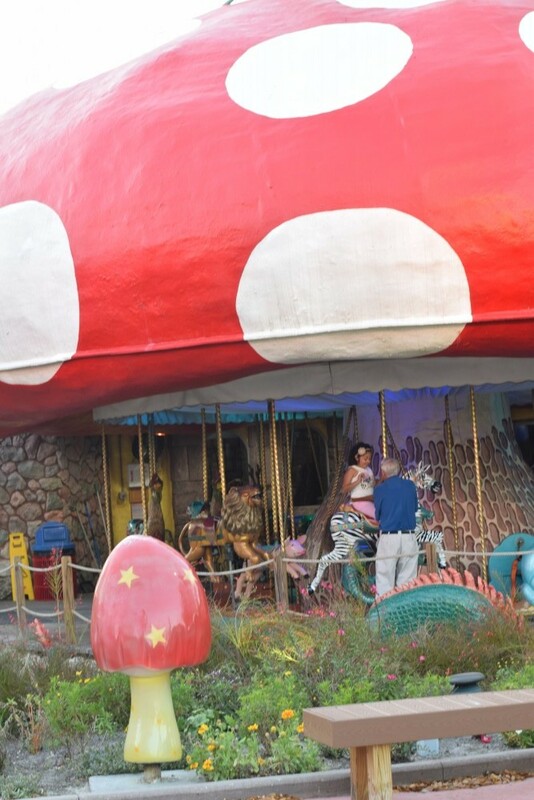 Before leaving, we had heard that the Village was “magical.” That did not even begin to describe our experience! We had tickets to all the major theme parks, but half way through the day, our kids would be begging us to leave to return to the Village. 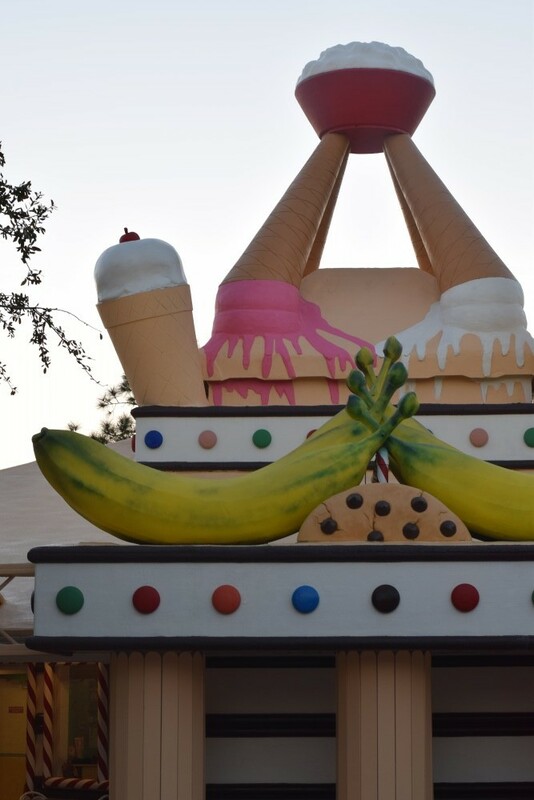 We’ve had a few people ask us what the kids enjoyed the most, and I say for certain every time, ” The Village!” Want to know what made it so special? Here are a few things that we loved! I hope you all like pictures, because I have a photo overload for you today! 1-We loved being around families who knew exactly what we are/have been experiencing. There was definitely a bond with people whom we had never met! 2-The volunteers and staff at the village were friendly and helpful. 3-The accommodations were more than we expected! Our villa was comfortable and clean, and there was plenty of room for all seven of us. 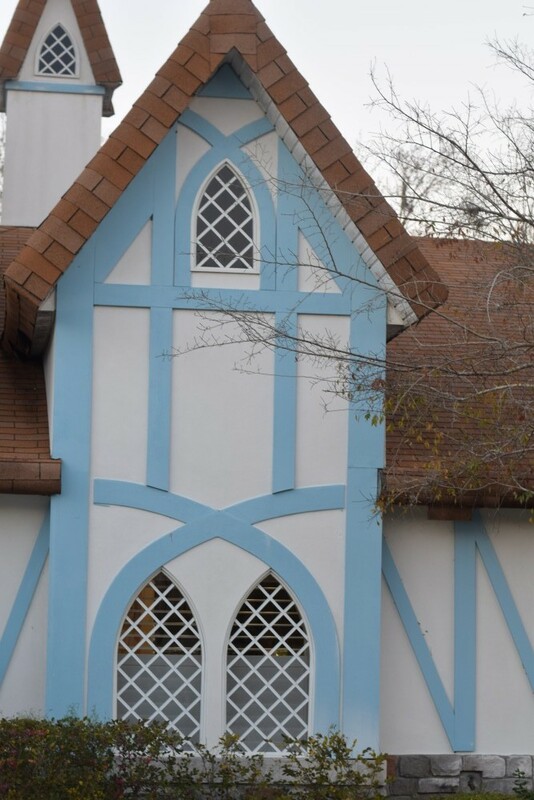 Each villa has a fun, storybook outdoor theme. The villa had a full kitchen and two bathrooms. One of the bathrooms was fully handicap accessible. 4-There were plenty of food options, including a full cafeteria with a varying menu. A cookie cart drove around the village with cookies and coffee. 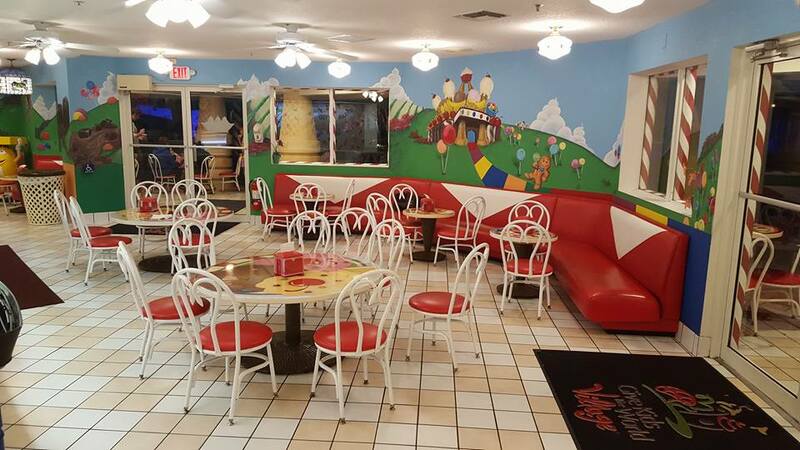 But the kids’ favorite was undoubtedly the ice cream parlor. Yep, the kids could get ice cream, as much as they wanted, all day. We didn’t let them overindulge, but they definitely tasted a few ice cream flavors that they had never tried! I didn’t realize it until our next to last day at the village, but there was also a snack shack at the pool that had convenient snacks and beverages. We didn’t even have to leave the pool to get refreshments! 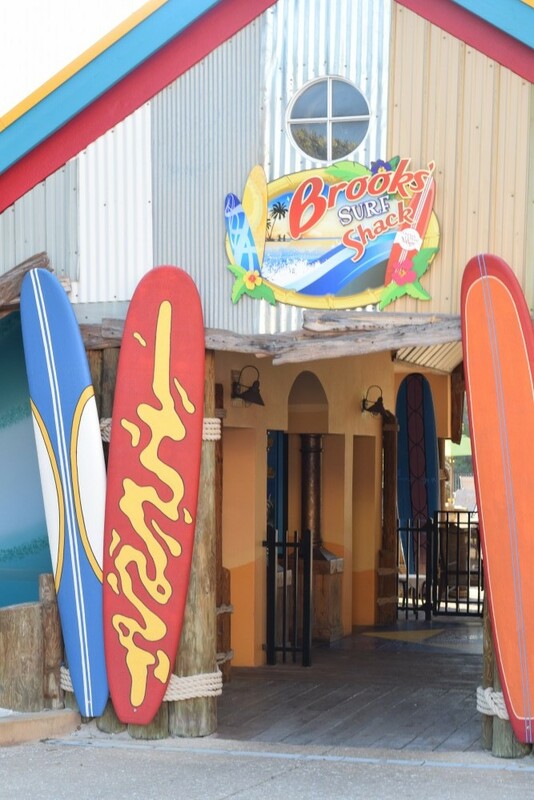 5-The snack shack I referenced earlier was beside of the most amazing pool that I’ve ever seen! What made it even more amazing is the fact that it was not crowded. There were only a handful of other visitors at the pool every day. My daughter enjoyed lots of splash time! 6-The village itself actually had a few rides! 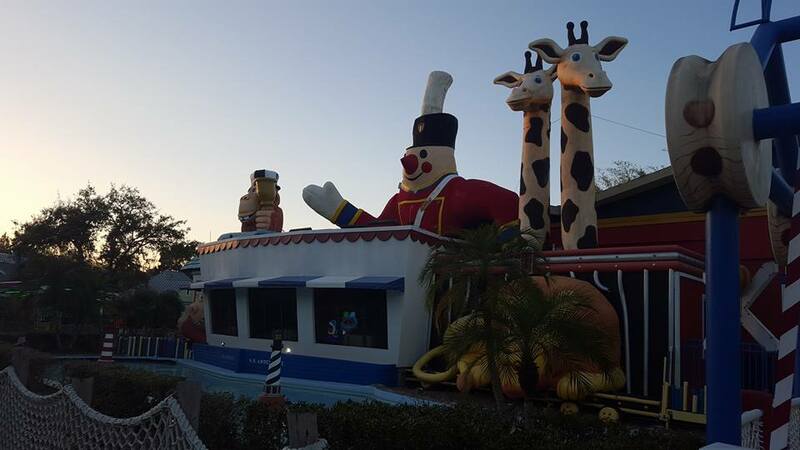 The rides were geared towards the younger kiddos, but that was great for mine! Their favorite was the merry go round! The kids also enjoyed the train, located in Amberville. 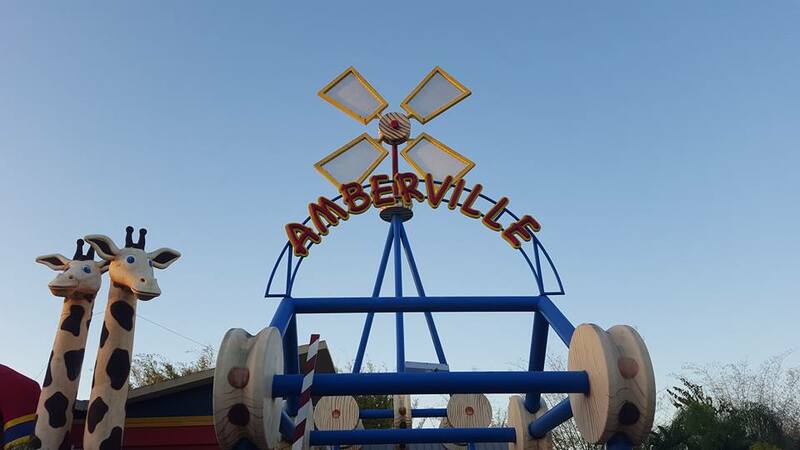 Amberville was also the location of fun game rooms! 7-My daughter still has the paint on her nails from her manicure at the spa! The college aged volunteers in the spa were so nice to her and made her feel right at home! 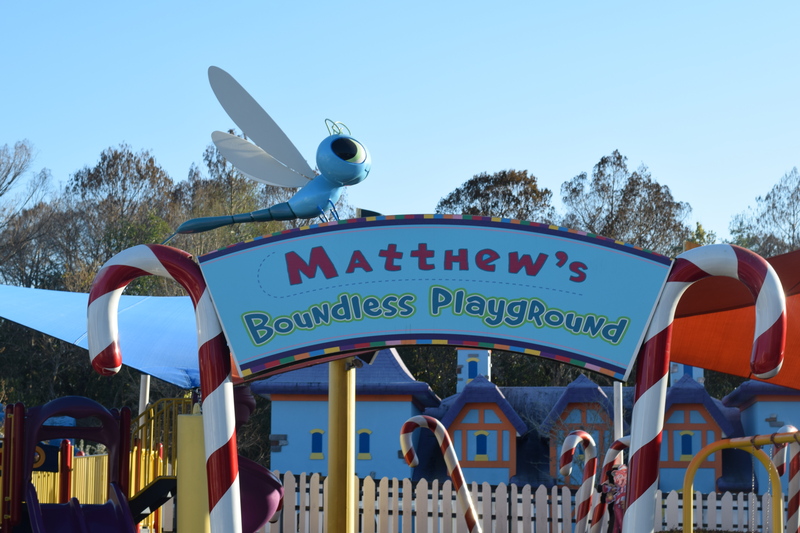 8-If we had arrived in Florida, went to Matthew’s Boudless Playground, and came home, my boys would have been thrilled! That’s how much they adored the playground. We left Universal Studios after only half a day because all four kids were begging to come back to the playground. 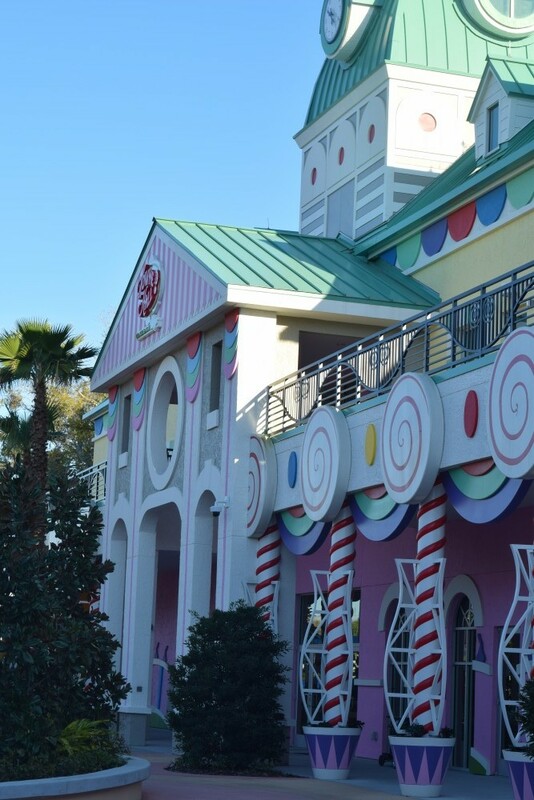 It’s the home of the world’s largest Candy Land game. 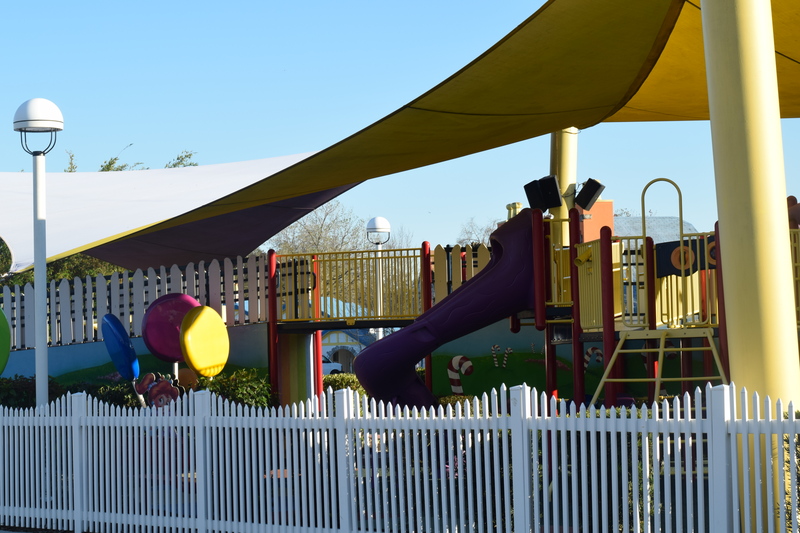 Fully handicapped accessible, there was plenty of room to run, play, and make new friends! 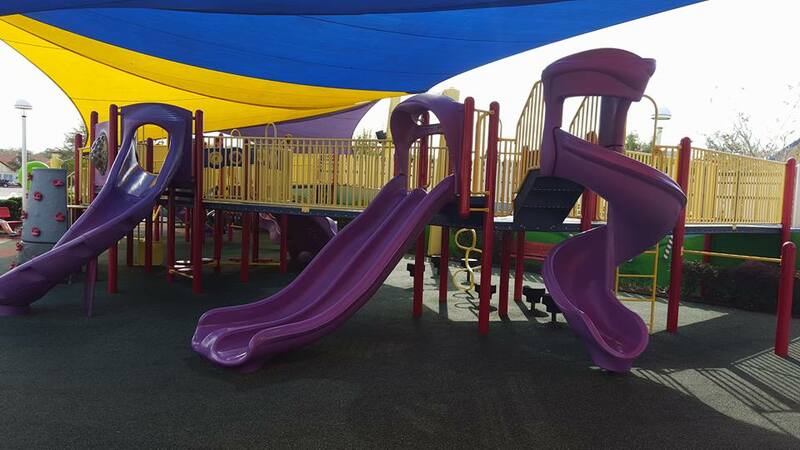 The playground has full shade, as well as it’s own bathroom! 9-What kid doesn’t like a good party? 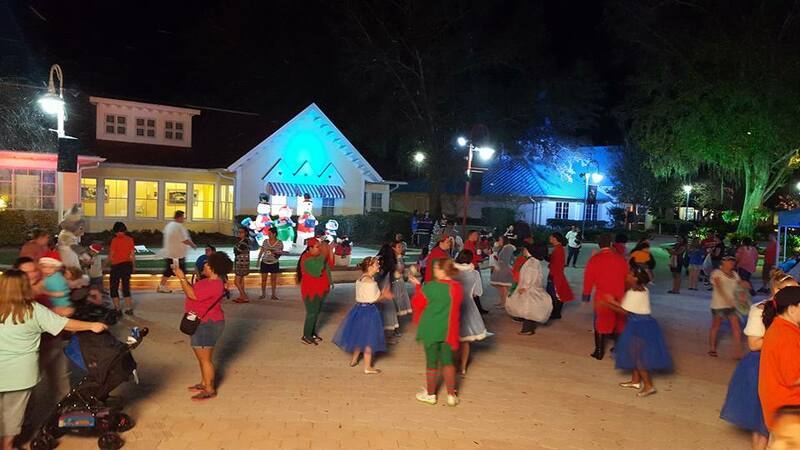 At Give Kids the World Village, there’s a party almost every night! 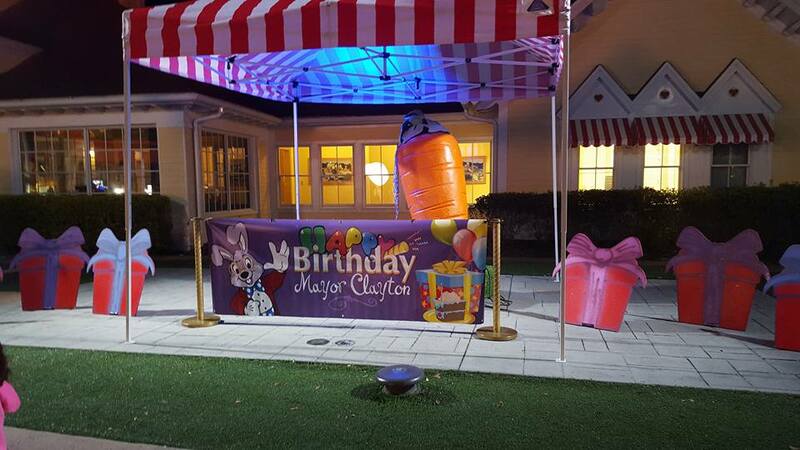 We were privileged to be there during their anniversary celebration, but they also had other fun themed celebrations for Christmas, Mayor Clayton’s birthday, and more! 10-The morning activities were a wonderful after breakfast treat. Mickey, Belle, Dora, and more characters visited across from the breakfast room almost each morning. Batman even made an appearance one morning! The evening of the Christmas celebration, the kids were able to visit with Santa. 11-My daughter looked forward to the Gift Fairy. Yep, each day the Gift Fairy stopped by and left the kids a little something. The kids squealed with delight every time that we arrived back in our villa to see the Gift Fairy had been there! There were so many more things that we enjoyed. The Give Kids the World Village runs like a well-oiled machine, and the quality of the volunteers is awesome. We feel so blessed that we were able to spend a week at this special place, and it will always hold a special place in our hearts! 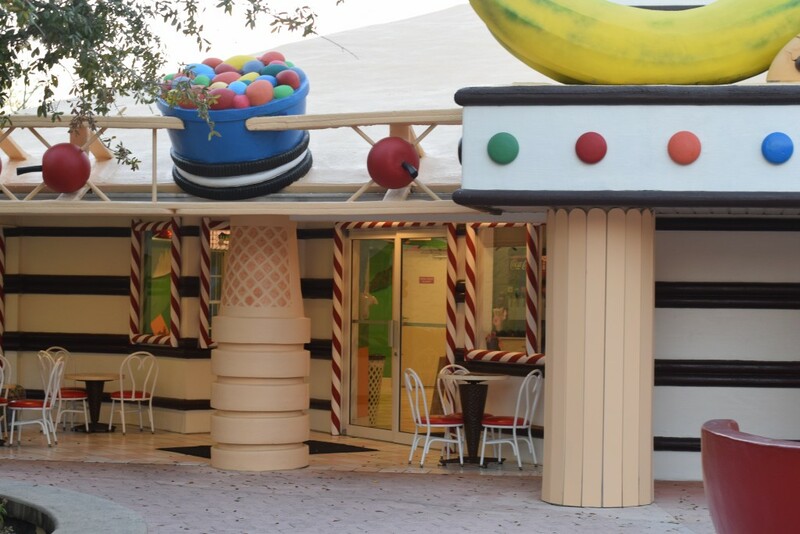 Are you heading to Give Kids the World Village for a wish trip soon? 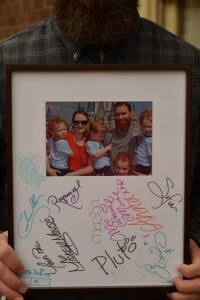 See this post, as well as our Disney Character Autograph Keepsake! See more on volunteering and helping Give Kids the World. See how to help Make a Wish. 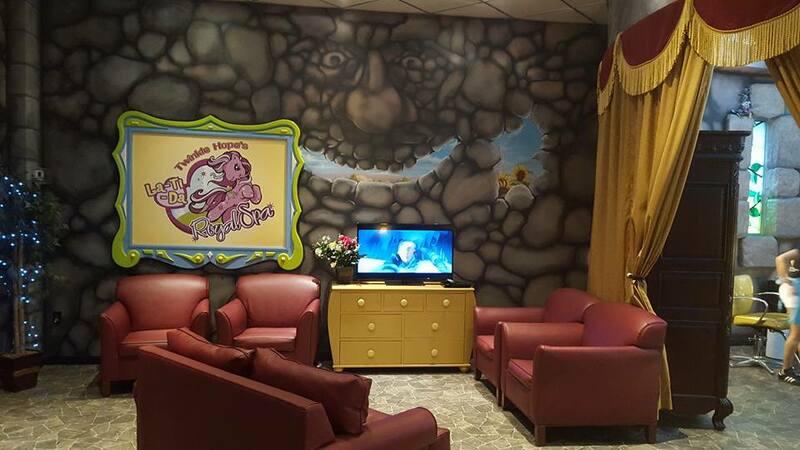 We had a Make-A-Wish child in 2002 and we were able to stay at Give Kids the World. We loved it! Such a magical place and so wonderful that they make the children and families feel so loved and cared for. Our daughter is now a healthy and happy 17 year old! That is awesome to hear about your daughter! Has the place changed much (looking at my pics in this post) since 2002? I love that organizations like this exist–it gives me hope for the world. Thank you for sharing your story. I am so glad your family got to go on this trip of a lifetime! It looks like an amazing place and such a wonderful organization!